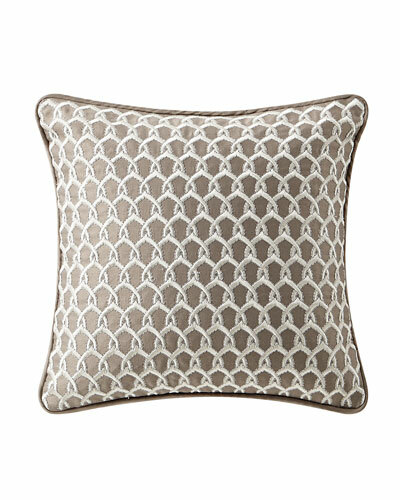 Watermill Taupe Decorative Pillow, 22"Sq. 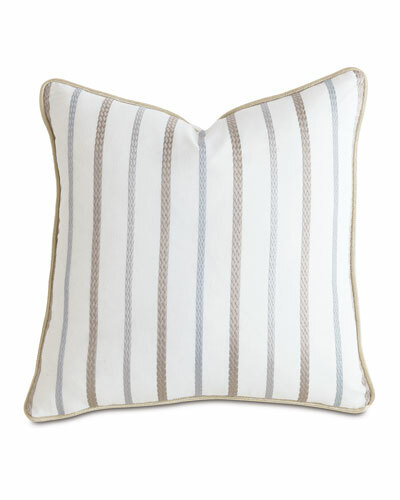 More Details Striped braided decorative pillow. Cotton/polyester. 22"Sq. Made in the USA of imported materials. 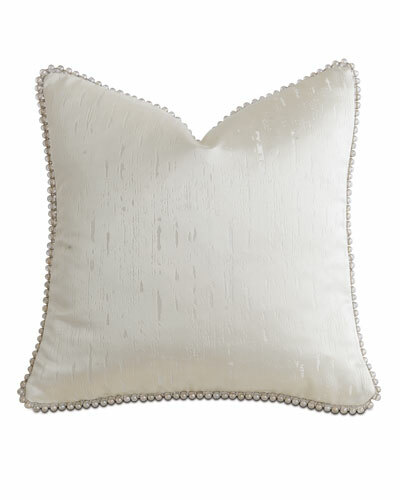 Watermill Taupe Decorative Pillow, 18"Sq. More Details Decorative pillow with beaded trim around edges. Polyester. 18"Sq. Made in the USA of imported materials. 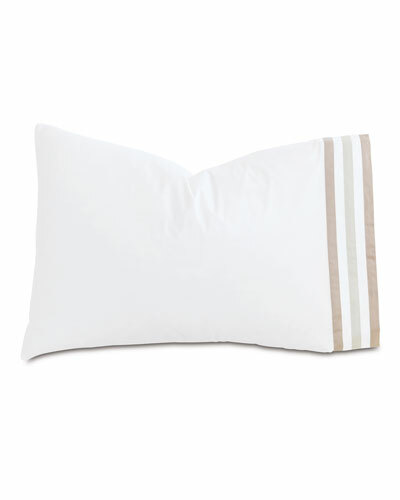 More Details Pillowcase with tricolor striped detail at opening. 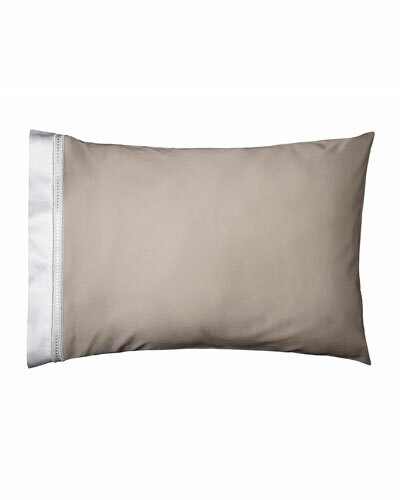 200-thread count Egyptian cotton percale. 20" x 37". Machine wash. Made in the USA of Italian materials. 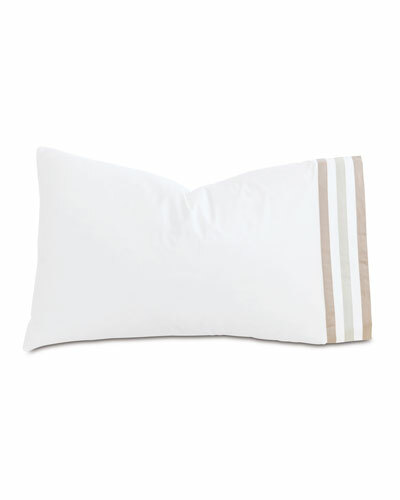 More Details Pillowcase with tricolor striped detail at opening. 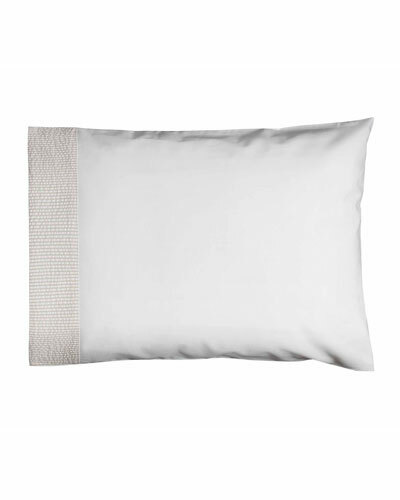 200-thread count Egyptian cotton percale. 20" x 31". Machine wash. Made in the USA of Italian materials. 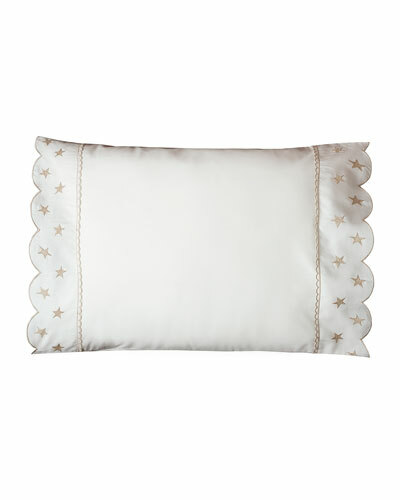 Baylen Embroidered Square Pillow, 14"
More Details Decorative pillow features a linked diamond embroidery design. A corded piping finished on edges. Reverses to a subtle pattern in taupe. Hidden zipper closure. Removable pillow insert is included. Cover: polyester. Embroidery: rayon. Spot clean. 14" square. Imported. 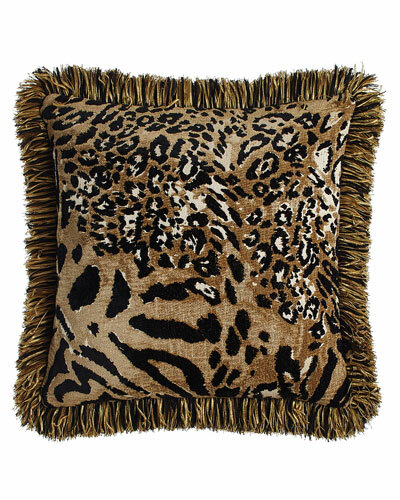 Reversible Madagascar Pillow with Fringe, 18"Sq. More Details One side is European-woven chenille with a mix of animal patterns in taupe and black. Reverses to ebony velvet with gold geometric pattern. Polyester fill. Brush fringe finish. Spot clean. 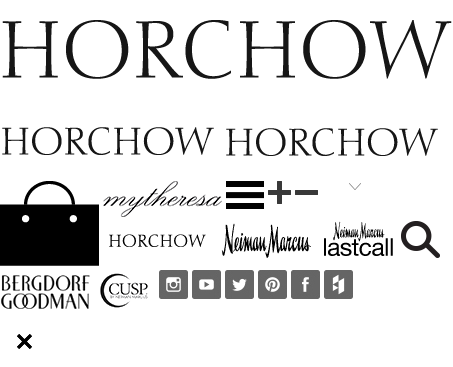 Made in the USA of imported cotton, viscose, acrylic, and polyester. More Details Set of two pillowcases. Cotton sateen. Made in Portugal. More Details Crib pillowcase of organic cotton. Scalloped ends with star embroidery. Made in Portugal. More Details Crib pillowcase with seersucker opening. Organic cotton. Made in Portugal. 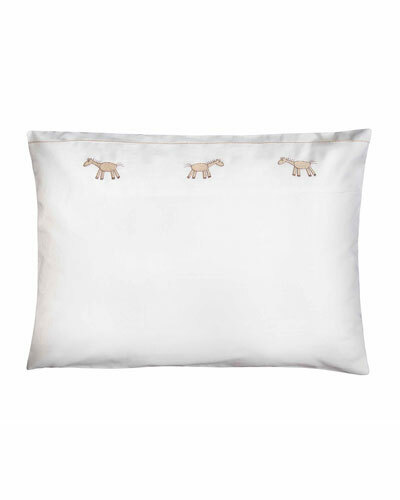 More Details Crib pillowcase with giraffe embroidery along top. Organic cotton. Made in Portugal.